Merry Christmas Eve, everyone! I hope your holiday is filled with family, friends, and delicious food. And if you’re still scrambling to find the perfect cookie recipe, look no further. This is it. The one. I promise. Everyone has a favorite recipe. A go-to, never fail, crowd pleaser. This is mine. 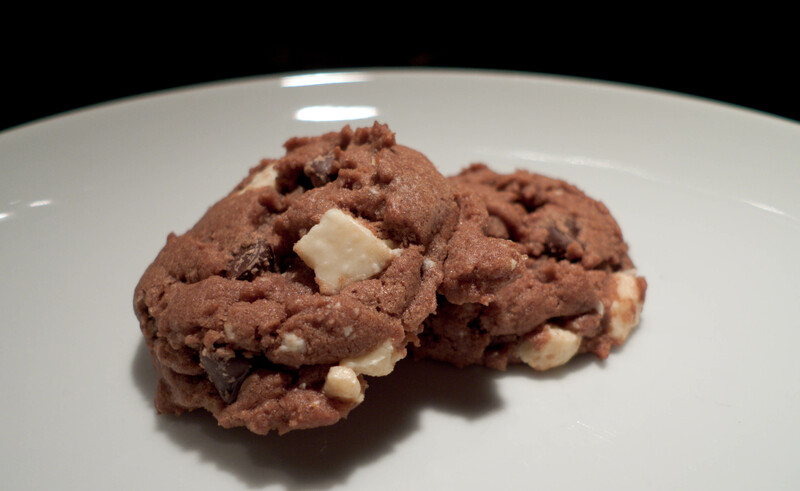 I’ve made these cookies so many times that I have the recipe memorized. And to date, they’ve never let anyone down. The best part about this recipe is that it’s customizable. Like more chocolate? Add it. Peanut butter chips? Add them. Nuts? No problem. Coconut? Sure, why not. You could add pretty much anything to this cookie (well, within reason, or course) and it’d be delicious. Cream the butter and sugars in a large bowl with an electric mixer on high speed. Lower to medium speed and add the egg and vanilla. 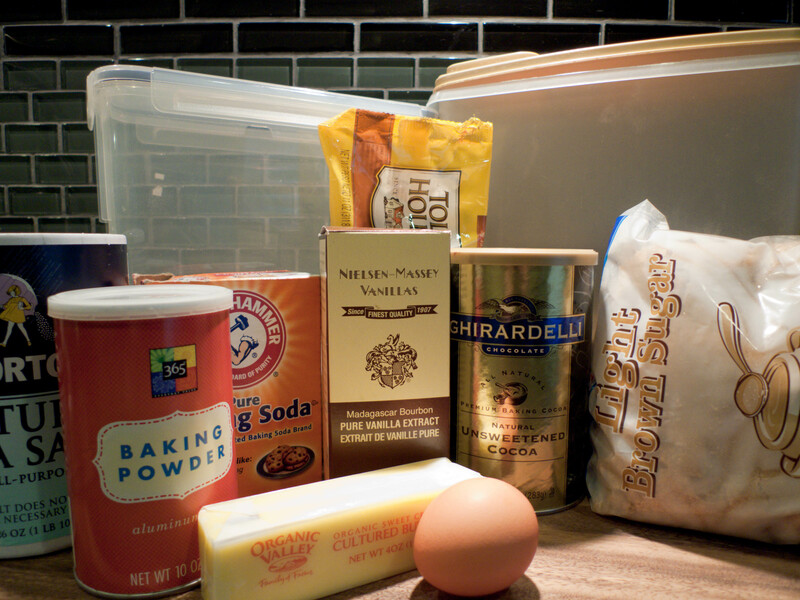 Whisk together the flours, cocoa, baking soda, baking powder, and salt. 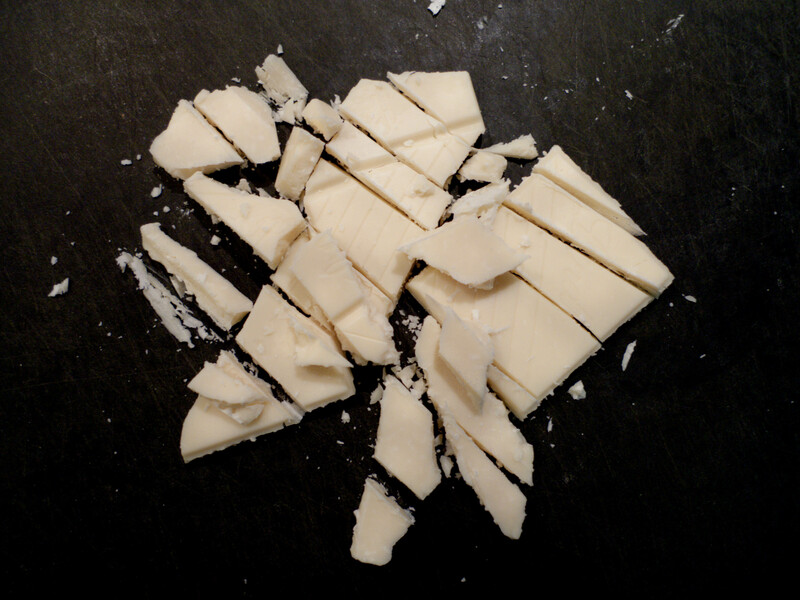 On low speed, add the dry mixture to the butter mixture. Beat until fully incorporated. Fold in your mix-ins. Place cookies on a cookie sheet, approximately 2 inches apart. Bake for about 12 minutes, or until the centers are set. Let cool on sheets for 5 minutes, then transfer to wire racks to cool completely. 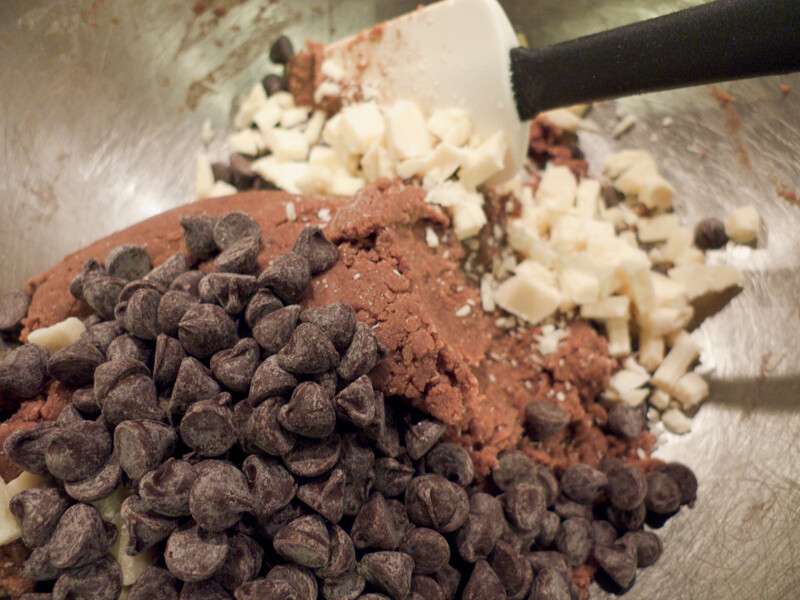 What’s your favorite cookie mix-in? Those one delicious looking cookies! Nicely done! probably add a nut to that, too – maybe a chopped walnut. I’m not quite cookied out yet, and these look pretty tasty! I have to read any recipe that calls itself perfect…these do look mighty good, I have to say. I like the idea of just some white chocolate chunks. I may have to try these! Oh gosh. I want to make these and Im trying to lay off baking for a while. Will. power. very. weak. I just got a bar of ghirardelli peppermint bark on clearance and this seems like a great way to use it. Yes! Wonderful idea. What a great clearance find! My friends and I made these cookies last night and they were delicious! Our only difference wash we added chocolate and peanut butter chips. Seriously delicious cookie!